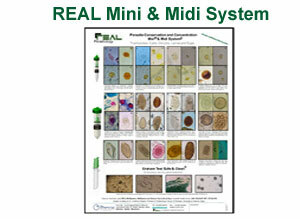 Made in fixed stools using REAL MiniSystem, MidiSystem and Graham Test Safe & Clean. Images owned by Dr. Guillermo Esteban. Professor of Parasitology. Faculty of Pharmacy, University of Valencia, Spain.